July is a busy Birthday month for my family. My niece and great-niece have birthday’s a day and a year apart this month. 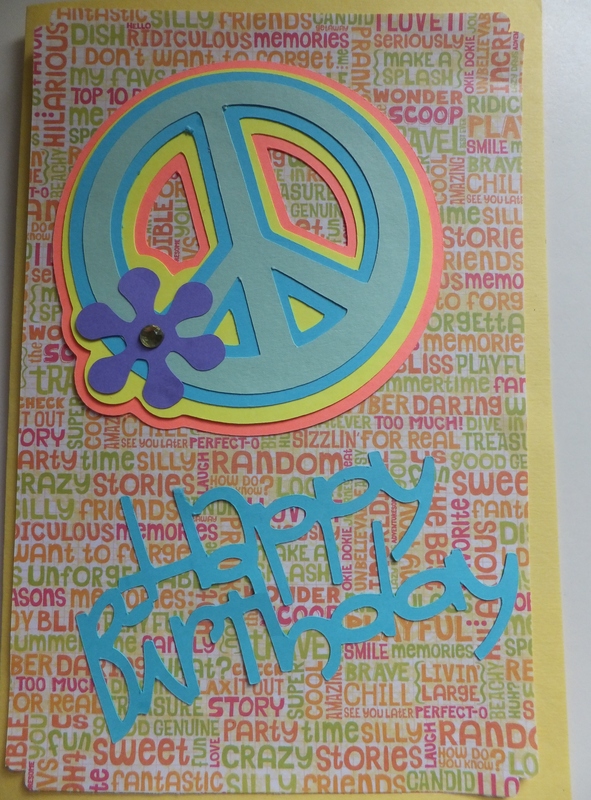 I stumbled across an old pack of paper called “neon brights” and decided to get out my “Groovy Times” Cricut cartridge to make their cards. I went for the “twin” look and made it easy on myself. I cut the Happy Birthday with the “Wild Card” cartridge. 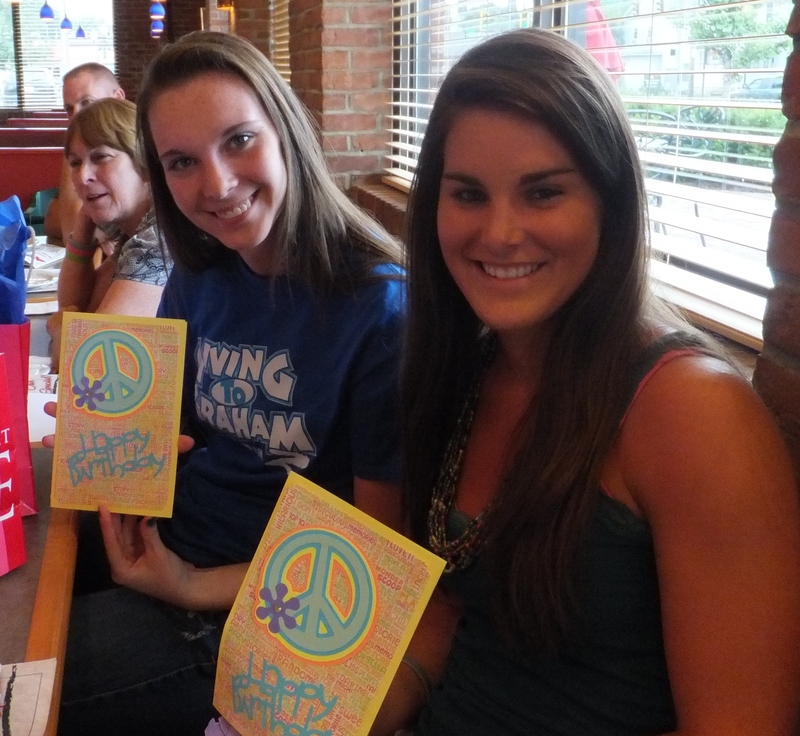 Here are the Beautiful Birthday Girls with their matching cards. The greatest thing about this celebration was that Kathleen actually got a Cricut of her own for her birthday. Here she is when she read the box and exclaimed, “That really isn’t what is in the box… is it?” She was so excited!! A Mini-ME…. I can not wait to see the Cricut projects she will make this Summer!! 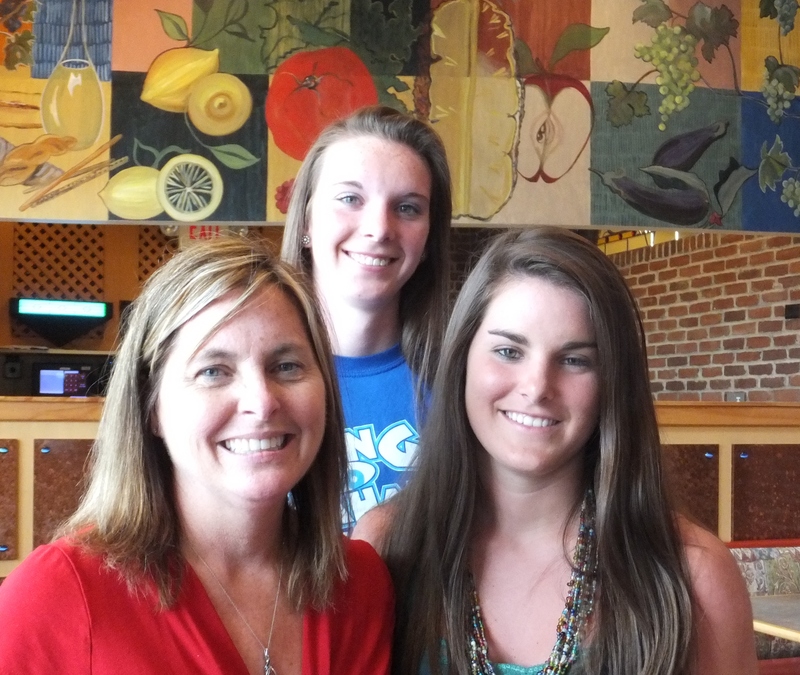 Last, but not least, is a picture of my sister and the girls. 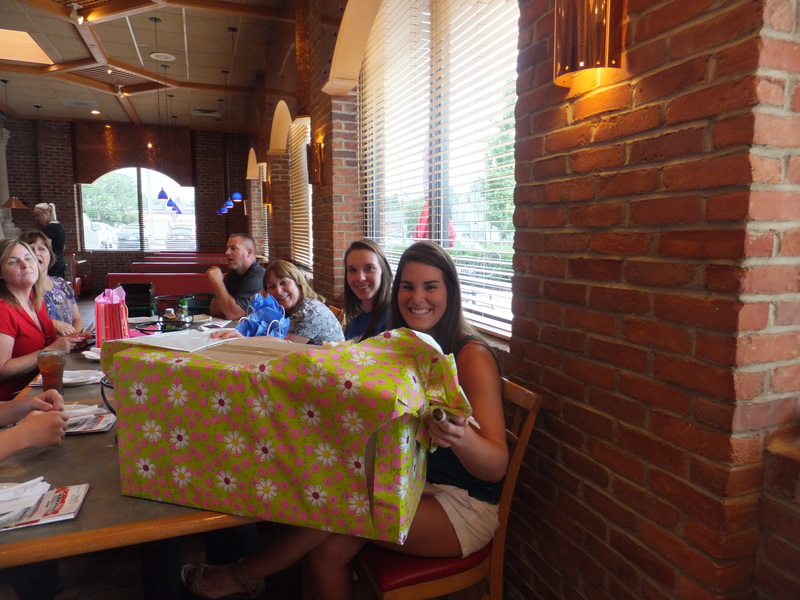 It was actually my sister’s birthday that day (Kathleen’s mom) so it made Kathleen’s gift a real surprise because she thought the present was for her mom!